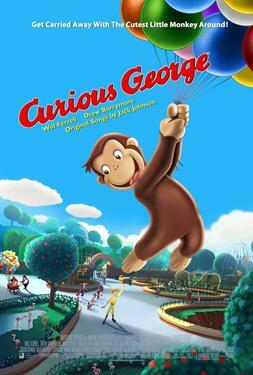 Curious George, the original "monkey see, monkey do" chimp, is an inquisitive little guy with an insatiable taste for adventure. He sets off in a brand new tale where his spunky and fun-loving nature endears him to new friends he meets along the way and lands him in a series of mis-adventures. Based on the popular children's book first published in 1941 and followed up by six more books about George.